Graham Whelan is the best recruiter I’ve ever met. And he has been that way since before most of you reading this article got to high school. Recently, I went to lunch with Graham, and 2 other long-standing recruiting colleagues, all now competitors, all significant achievers in our industry. After the usual banter, and a sombre reflection on the fact that between us we had 120 years experience in the recruitment industry, my longtime friend, sometime business partner, Graham Whelan, could not contain himself. You see, Graham had come to the lunch via a client meeting where three of his candidates had been selected for final interviews for a CFO job. I sat back and allowed his excitement and enthusiasm to wash over me. It was so refreshing. So invigorating. I could not help but reflect that his energy and sincere gusto for the looming placement was as vigourous and heartfelt as many similar conversations we had over the last 25 years. No matter that he had been placing people in finance jobs since 1978. No worn-out apathy or cynicism here. His love of the chase, his desire to make the match, and his interest in the welfare of his client and the candidates, has not waned in 3 decades. I worked with Graham for more than 15 years, including 12 as partners in building a business called Recruitment Solutions, which went from start-up to an IPO on the Australian Stock Exchange. To me, Graham epitomises what a great recruiter should be. And as I came away from the lunch, I was in awe of his longevity in this most demanding of businesses, but also his passion and commitment to service. So what is it that makes Graham special? He has all the technical recruiting skills, of course. But he has more too. Let me count the ways. He cares. About his clients of course, but also about each and every candidate he deals with. Sure, he is looking to make the placement, and the fee, but Graham has never lost sight of the human element of our business, and he treats every person he deals with, with kindness and attention to detail. He has incredible energy. I don’t want to break any privacy laws, but the man is closer to 60 than 50, and he still works at the pace of the energiser bunny. Graham is a shorter man than me, but when we went on client visits together, I had to almost run to keep up with him. He strides around the office, he often stands when speaking on the phone during important conversations, he moves quickly from one call, one meeting, to the next. He is a little whirlwind of action, and he inspires action around him. Typically, he works 8 am to 6 pm, starting with a booming “bore da*” across the office as he strides in, lunch is a sandwich at the desk, and every other minute is spent engaging in conversations with clients, candidates and colleagues. He is honest. Of course he has impeccable business integrity, but he is honest at a deeper level. He tells clients when he can’t help, he tells candidates their exact status. If the news is bad, he still gives it, directly, but with compassion. He does what he says he is going to do. This alone separates Graham from the vast majority of other recruiters. If he says he will call you back, he does. If he tells you that he will keep you in mind for a specific kind of role, he will, and you can expect a call, maybe 4 months later. He listens. Again, so many recruiters can learn from this. Graham asks lots of questions, he digs, he listens, and he is purposely ‘slow to understand’. He does not make assumptions. As a result, he inevitably develops a better search brief with the client than anyone else. He always gets to the core reason a candidate is looking to move jobs, which every good recruiter knows is often not the reason they initially give. He has an elephant-like memory. If he interviewed you as an accounts clerk 20 years ago, Graham will remember not only you, but also your company and probably your salary and the person you reported to. There is a good chance he will remember your family too. Seriously. Sit in a restaurant with Graham, and he will be nodding to, and shaking hands with, every second person, not only because of his longevity as a recruiter in this city, but also because he remembers everybody, and because he has never burned anyone in business, he has no enemies I could possibly imagine. He is the embodiment of PMA. Positive Mental Attitude that is. Graham believes and behaves as though good things will happen. Then he works hard to make sure they do. I believe so much in this trait. To Graham, his candidates WILL get the job, and as a result, they usually do. He makes you feel special. And he does this without even knowing or trying. He is interested. In you. You are his focus when you are talking to him. He remembers your wife’s name. Your kids. He asks how they are. And you can tell he is actually interested. He sends handwritten thank you notes, and he calls on your birthday. He cries when a friend is having a bad time or is seriously ill. What a great man. Don’t get me wrong, the man is not perfect. He is Welsh for a start, and goes on about their rugby team of the ‘70s endlessly. He is not the quickest on the technology uptake, and he just smiles and pours another glass of Pinot when I talk about social media. But he is the best hard-core recruiter I have ever worked with or against, and he has made an immeasurable contribution to countless lives, and to our industry as a whole. He sent me a note last week after our lunch, where I had been banging on about social recruiting and change in our industry. Greg, he said, “you are an inspiration”. Typical of the man. But the truth is, Graham has inspired me for decades, and I know for a fact he has inspired many, many others too. So to my old mate “Wheels”… I salute you! What a fantastic piece Greg. Graham sounds like a true industry role model and the traits you describe are ones I wished I possessed or am seriously working hard to develop! Thanks Adam...he is a wonderful guy .. and to be perfectly honest he has sometimes been my moral compass in the past. Wow Greg just to read this article gives one great inspiration! Perhaps we could all take a page out of Graham's book and learn from it! We are NEVER too old to learn! Even for us oldies (me aged 68 with 36 years in the business) love to read stories like this. We all need at times boosters and this has certainly done that to me! Hey you lucky young recruiters, read, absorb and put into practice! Who knows you could be like Graham and Greg one day! DREAM BIG! Thank you for sharing this with us Greg! Another happy and satisfied Oldie! Truth is Alan, I thought of you too when I wrote this blog. Obviously I don't know you like I know Graham, but I do know you have been around just as long, if not longer, so take a bow Alan! Graham is all of the above - I couldn't have written it better myself! Really good points. I particularly like point #7. Each time they write an article about how Monster, MySpace, Monster, Twitter, Job Serv, Seek, Internet etc etc is going to spell the end of recruitment industry you should ask them, Have you met Graham? Greg, wow! I remember Graham from when I entered the industry in the mid 80's. I was introduced to him by several of his ex colleagues from Accountancy Placements. I thought then what a great bloke and I am genuinely sorry not to have worked with him. You have painted such an accurate picture of him. What an inspiration! Greg well written! Another attribute of Graham's, one that Greg would not have experienced from Graham as they were peers, is that Graham never looked down on, or ignored, his colleagues (recruiters or support staff). Having worked with Graham for 8 years I can assert that he was just as respectful and enthusiastic to his colleagues, regardless of their age, experience or longevity in the company, as he was to clients and candidates, a very rare trait in a top biller. Great piece Greg. I love how you use your blog to mentor and promote quality in our profession. PS. I would be interested to know what Graham is thinking when he "just smiles and pours another glass of Pinot when I talk about social media". Social media is great/powerful, but I think sometimes people get caught up in it, rather than just use it as one of the tools to implement what Graham does per above. Anyway, thanks again Greg. Love it! In this age of technology & social media that are allegedly taking over our industry, recruiters can still make a difference with the "HUMAN" element. We can have coffees or a drink after work with our clients and candidates, share a joke and have a laugh, but most of all we CARE. Show me any recruitment database that can do that! Great story, a wonderful role model for the industry. As a small generalist recruiter in Regional Australia, it is exciting to hear about how excellence is being achieved. What a fabulous bit of writing - if you have the right attitude and a heart for people, then the technicalities for being a good recruiter will kick in! A good reminder of what we all should do. Greg - 100% correct! Its been a long time since my path crossed Graham's but I still remember the presence he had when I first started out and its stayed with me ever since. He one of the most inspirational and special people I know. He showed me how to love what I do. He was and will always be my mentor. Thanks Greg for your wonderful blog. Greg. Love your piece on Graham. In my first role in recruitment 30+ years ago I was lucky enough to work with both of you at AP (and Jane and Josie too). I recall Graham, or was it you, using the term "thumbnail sketch" when selling the candidate on the phone. I still use it in my repertoire today. Those WERE the good ol days! I remember working with Graham (and you Greg, and Jen and Ross), back at Recruitment Solutions for just a little while before admitting that recruitment simply wasn't for me. But I will never, ever forget the feeling that you were in the hands of a master each and every time I made a joint appointment with Graham. His obvious passion for his work and the respect he commanded from clients and candidates alike was incredible. Put simply, he cares and you can't fake that. Anyone looking to have a meaningful, sustainable career in recruitment should read this article a few times. You've nailed everything I admire about Graham. Thanks Greg for putting your comments together. I had the pleasure of working alongside Graham for about 6 months and think very fondly of that time. He indeed is all the things you described, and does it with such ease and gusto! From the great understanding of the business domain, the way he works on an assignment, to the very basics of always keeping his desk in immaculate state and recording a new personalized voicemail message every single day (really, who does that these days?). 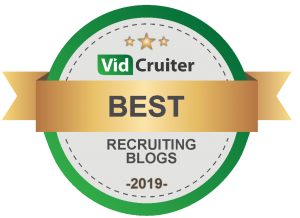 The list could go on and on – but all these things, big and small, put together contribute to the caliber of exec recruiter and person Graham is. All the best for many more years to come! Ha! PMA (Positive Mental Attitude) from Success Through a Positive Mental Attitude by W. Clement Stone. I am re-reading this book, because it is a true classic and timeless. Another great post, Greg. Thank you. Hi Greg, Thanks for reminding me of some of the fabulous people I had the privilege to learn from. I am who I am because of people like you and Graham. Wow, there are some blast from the past names in the list of respondees! I worked for Graham in the late 80's/early 90's and have just passed 25 years in the industry and can only echo everyone else's glowing opinion. He remains the most inspiring mentor that I have had as he set extraordinary standards of decency and professionalism in an industry that frankly is spectacular at under achieving in this area. But he also had tremendous attention to detail - I still staple my CV's just so, with mathematical precison, to pass the "Whelan Test"! Graham was my boss at a formative time in my career. It was over 20 years ago now but I remember the time very clearly. He made me realise that recruitment could be, and should be, my career. He took enormous pride in his work and was incredibly genuine with the relationships he built. His warmth meant he'd sometimes get invited to his candidate's weddings or get invited by his clients to their client events (as a supplier). Once in a client meeting, Graham thanked the client for always returning his calls so promptly. The client said "Graham, I will always return your calls because I always feel better for having spoken to you." I've never forgotten that. Well said! These are fundamental attributes to be "significant" and not merely "successful." Excellent article Greg. How refreshing to read about a recruitment luminary who doesn't subscribe to treating clients or candidates like a meat processing plant. Methinks a series of talks by Graham to the recruitment industry here in the UK would be of great benefit. Thanks Greg, Graham placed me twice back at recruitment solutions and I remember him well as I remember you. Everything you say about him is true. Indeed Graham (or at least his advice) is partly responsible for my pursuit of a different career path that has proved very successful. I am starting my new job in recruitment tomorrow. I feel extremely lucky to have found this inspirational piece. The 8 commandments I will refer to in order to become a good recruiter and a better person. Thanks for sharing Greg, wish me good luck. Graham has always been a wonder. So what I wonder is, does his memory stretch back to Leicester and Americans who thought his kindness was his greatest strength? What a great profile of a person who would clearly be amazing no matter what career he chose to be in! I don't know Graham, but the personality traits you describe are those that are key to success. It's the recruitment industry's fortune that Graham has chosen this one as his life's work. Thanks for this - I love pieces that make you sit back and analyse your own practices, and this one does that. Graham Whelan is a man I still quote and still talk about even though I haven't been in the same room as him for 14 years. An absolute gentleman and amazingly skilful recruiter. Hats off to Graham Whelan.